Nikhil Ghare, MMS 2010-12 batch has been selected as the Nissan Student Brand Manager for the year 2011. He is one of the eighteen students who have been selected as the winners across India. The judges comprised of the eminent Adman Prahlad Kakkar, Mini Menon from UTV, Harish Bijoor of Bijoor Consultants, Hormazd Sorabjee -Chief Editor of Autocar India and Dinesh Jain, CEO of Nissan India. Around 2000 students who had applied for the first round were expected to present innovative yet feasible ideas to promote Nissan and its products. A group of 25-30 students were shortlisted from the western region, subsequently around 7-10 students from each zone were shortlisted for the Grand Finale. Apart from Welingkar Institute of Management Development and Research, IIM Kozhikode, JBIMS, IIT B, NMIMS, NITIE, Sydenham also participated. 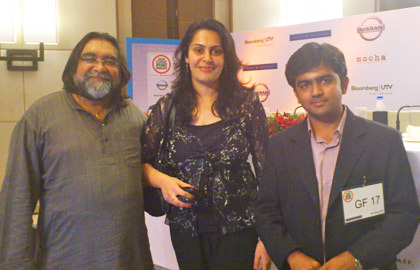 Nikhil was one of the top 18 students selected to be the brand ambassadors of NISSAN. He gets an opportunity to work with the multinational for a year for which he will be paid a stipend and also be sanctioned a budget for putting his ideas in practice. He will also be trained under the NISSAN corporate trainer and an opportunity to be hired after the year is over. I honestly really want to make an article relating to this on my blog. Thanks for your inspiring concepts. You are welcome to read my follow-up to this at howtohostasite.com You can consider my post for July 16th to be the comment to this! That is some thing I need to do more research into, appreciation for the post. I feel satisfied after rdieang that one. Many thanks for taking the time to explain the terminlogy to the starters!